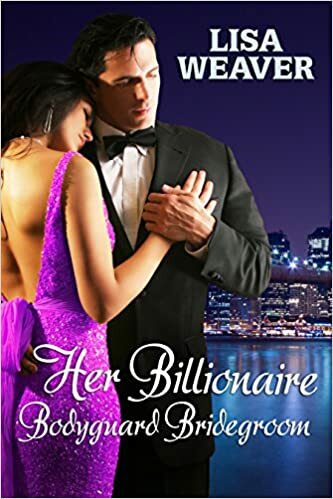 When bodyguard Luke Reynolds is enlisted to covertly protect beautiful billionaire heiress Brianna Atwood, he’s determined not to allow the line between duty and desire to blur. The last time he did, pleasure came at too high a price. Scarred from loss and catapulted into heiress-hood, Brianna, has exiled ‘commitment’ from her vocabulary. But working closely with Luke under the impression that he’s simply employed by the same magazine, she finds his potent allure hard to resist. While both want nothing to do with love, Luke’s assignment to protect Brianna places their hearts in the line of fire. Will defending the one woman capable of annihilating his emotional armor cost Luke his heart? If she discovers his secret, will she still surrender to her billionaire bodyguard? Even if Mr. 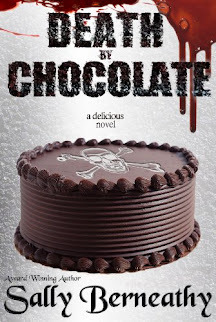 Tall, Dark, and Drool-worthy was made of flesh and blood it wouldn’t matter. She’d declared men—including those who happened to be as amazingly, gut-wrenchingly perfect as this gorgeous vision her psyche had conjured up—strictly off-limits. She absolutely, positively wouldn’t want anything to do with him. She risked another peek. Rather than vanishing, her hallucination had stripped down to a brief, black swimsuit. She was staring, she knew, but she couldn’t make her eyes obey her mental order to stand down. They were reveling in every nuance of this Michelangelo sculpture sprung to life. It occurred to her she should say something, on the billion-to-one chance he might be real. “What are you doing?” she ventured boldly. His response resonated with a confidence that made it clear he didn’t think he needed an invitation. His voice was as perfect as his body, a deep baritone that enveloped her like a lover’s embrace. Mirages didn’t talk, did they? If she wasn’t hallucinating, she had bigger problems than being caught semi-naked on private property. This stranger had her teetering on the precipice of lust, and that wouldn’t do. Belatedly she remembered the need to voice her disapproval of his plan to crash her private swimming session. Between the overload of testosterone in the air and the fact that her heart was lodged somewhere in the vicinity of her tonsils, articulating a protest wasn’t an easy feat. “Oh no, you’re not,” she managed to croak. Oh boy. Busted. Not only was her hallucination real, he’d also caught her encroaching on someone else’s land. “I’m vacationing in the area, and I wanted to get a closer view of the lake. I didn’t think anyone would mind,” she defended lamely.